We are dedicated to helping you preserve and enhance the performance, safety and retained value of your Subaru for many years to come. And to do that, we offer a service unlike any other. 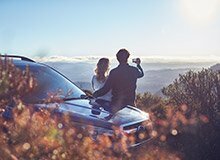 If you’re looking to buy a new Subaru, Subaru Service Plans are available to purchase and take care of your standard scheduled service costs upfront for 3 or 5 years and are available on all new Subaru models. We keep all our servicing costs up front and transparent. If you’re looking to buy a new Subaru take a look at the costs that apply to your model. We like to have a check-in with you after about a month, so you can ask us anything, and we can make sure your new car is running well. Want to choose the type of service? And decide how to get your car to us? No worries, we have a range of options. There are so many reasons why you should only ever service your car with a Genuine Subaru trained technician. Irregular servicing can damage the retained value of your vehicle, not to mention lead to problems on the road. Find out the optimal times to service your Subaru. Even with regular scheduled servicing, your Subaru may need extra maintenance from time to time. Find out how to safely undertake these checks yourself and to help keep you on the road. Where Can You Get Your Subaru Serviced? 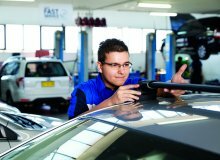 There are many locations around Australia where you can get your car serviced by a trained Subaru technician. Find out where.